Qantas will also add its code to Jetstar’s flights between Sydney and Nadi, for travel from 1 February 2019. Qantas customers travelling on the Jetstar codeshare service will enjoy additional benefits, including the opportunity for Qantas Frequent Flyers to earn points and status credits and a complimentary meal. Qantas will continue to codeshare on Fiji Airways’ services to Nadi. 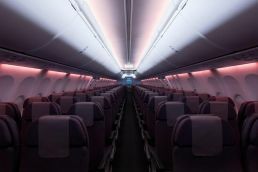 With Fiji Airways now integrated as a oneworld connect partner, Qantas customers will benefit from more flight options and the opportunity to earn and redeem Qantas Points and Status Credits on Fiji Airways’ services between the two countries. Eligible Qantas Frequent Flyers will also have access to priority check-in desks, priority boarding and lounge access when flying on Qantas codeshare flights operated by Fiji Airways**. Customers can book Qantas’ new Fiji service at qantas.com or through travel agents. To celebrate the launch, Qantas is offering sale fares starting from $269 one-way, available 21 to 23 January 2019, for travel from 31 March 2019.